TruckTrader is an online marketplace platform that focuses on the commercial vehicle industry. I’m sure most of us are familiar with the process of buying private vehicles, considering that about 26 million cars and motorcycles were registered as of 2017. 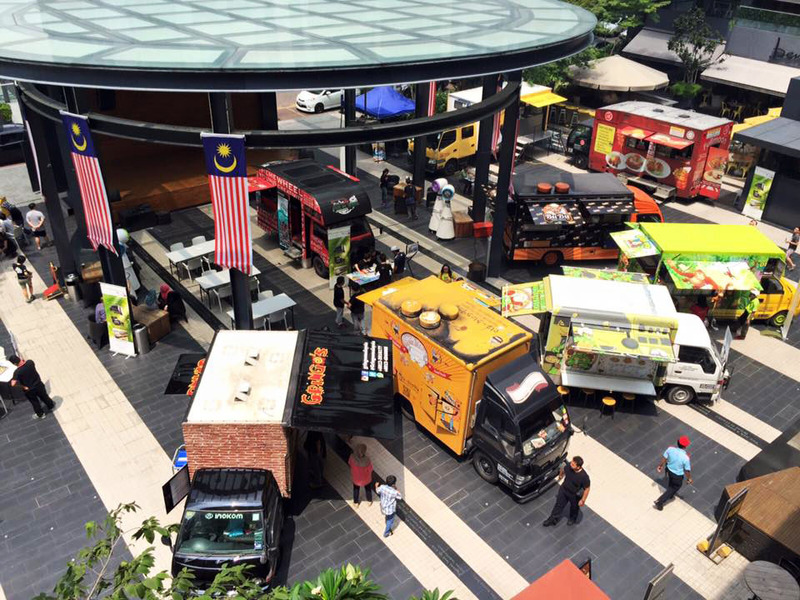 But what if you’re looking for commercial vehicles like food trucks or cargo lorries? I wouldn’t really know the first place to look at, and that’s to be expected as the industry is traditional and severely outdated. Most commercial vehicle dealers operate the good old-fashioned way: showrooms and pamphlets, instead of going out to where the masses are—the digital realm. 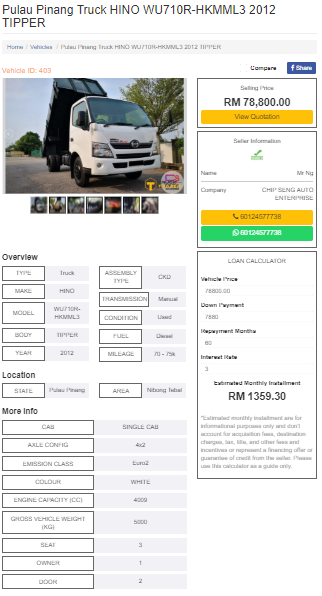 TruckTrader, a startup focusing on the truck trading business, happened to notice this technological gap between private and commercial vehicle dealers. “Most passenger car dealers have been trading online and are using electronic inventory systems while commercial vehicle dealers are still mainly trading offline and have limited usage of technology in their daily operation,” said Damien Low, co-founder of TruckTrader. Because of this, commercial vehicle consumers also face the hassle of dealers not providing enough accurate details and a lack of price transparency. Knowing that consumers would want a peace of mind during the purchasing process, the team came up with TruckTrader. Launched back in 2017, TruckTrader started with a goal of redefining the truck trading industry through the introduction of their online platform that aims to make the trading process more efficient and user-friendly. Damien was running 2 online platforms related to the commercial vehicle industry before deciding to combine them into TruckTrader to serve the industry as a whole. They currently have about 500 commercial vehicles for sale on their platform, split into those that are brand new, used, or rebuilt. The type of commercial vehicles that you can find through their listings are vans, cargo trucks, food trucks, tipper lorries, and more. To use their platform, you’d need to register for an account and select from 4 options: distributor, dealer, sales agent, and a regular member. If you’re looking to buy commercial vehicles, you can request for quotations and contact the seller to deal with them directly from there. Sellers can go through a free trial to try out the features before subscribing to an account package that lets them publish on TruckTrader. Slowly but surely, TruckTrader wants to solve what the market is lacking by helping sellers go digital one step at a time. “We also provide accurate dealer showroom locations for sellers and help them to manage their stock inventory through our platform. By improving the quality of dealers and vehicles in this industry, this will eventually improve their sales and improve market efficiency,” said Damien. The problem that a lot of consumer marketplaces face is the quality of their listings and the price tags on them, factors that could make or break a deal for a lot of buyers. 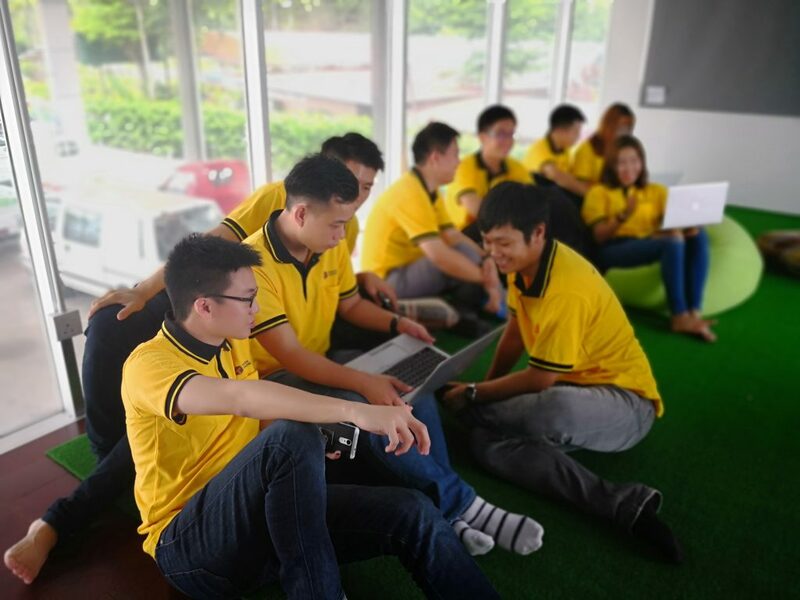 To monitor the vehicle prices, the team has a system that will detect the best value based on a certain range of the mileage and the year made for vehicle. Sellers then can know whether the vehicle price is over or under priced compared to similar models. “Our team monitors the pricing of every vehicle before it is published and our price curve shows the most optimum price for buyers for their reference. All these will drive the market prices for the similar vehicles to a certain closer range of price,” explained Damien. TruckTrader also has a GOLDTRAC system that helps maintain the quality of their listings. 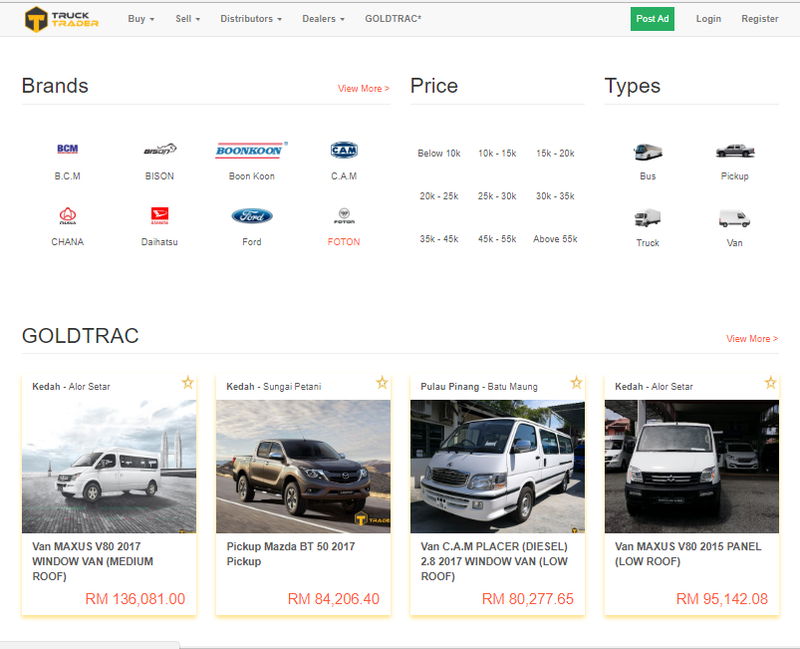 GOLDTRAC shows you vehicles that follow on-the-road prices with no hidden costs. Only certified dealers that are thoroughly vetted by TruckTrader can advertise their vehicles here according to the on-the road prices. The price shown will be the highest price the seller can place but buyers are encouraged to bargain for a better value. This is so each party can be sure that the pricing is true and transparent with every detail that’s listed in the quotation. “Our system examines all the truck listings and only those with accurate details and conditions will be published. We want buyers to have peace of mind in their buying process without any scepticism,” said Damien to Vulcan Post. Their transparency is one of the key elements the platform prides itself on when compared to other online platforms of a similar nature in the market. It’s a real struggle being a player in a traditional field, especially when your goal is to help move it forward. Many dealers feel doubtful about going digital as some of them don’t even own the right gadgets for it. “There have been misconceptions that online trading is easily subjected to fraud and scams for buyers, therefore we are working hard towards to alleviate this situation. Educating them on the benefits of the digital trend will be our main objective by now,” said Damien. While their current focus is on the trading aspect for now, their future plans will look at after-sales services such as repair, maintenance, and permit applications, along with dabbling into the re-selling market. The ultimate goal they have is to build an ecosystem that can serve the entire life cycle of the commercial vehicle industry where both sellers and buyers can benefit through TruckTrader. You can check out TruckTrader’s official website here for more details on their listings and services.